Marion founded the Loddon School in 1988. It’s an internationally renowned charity for children who can no longer live at home because of their severe and complex learning difficulties. The Loddon School is the only school of its kind in the UK. In 1995, Marion and her husband Tim established Liaise Loddon for similar reasons: there was little adequate provision for adults with severe autism. Marion has worked in special care and education her whole life, including head teacher of three special schools. She has also been director of a large facility offering special care and education. The programmes Marion has developed at the Loddon School are positive, delivered in a supportive and therapeutic environment. From these, she created PROACT-SCIPr-UK®, which is a proactive approach to care that focuses on the whole person, not just their behaviours. More than 700 instructors now teach this programme in schools, care settings, hospitals and community homes all over the British Isles. 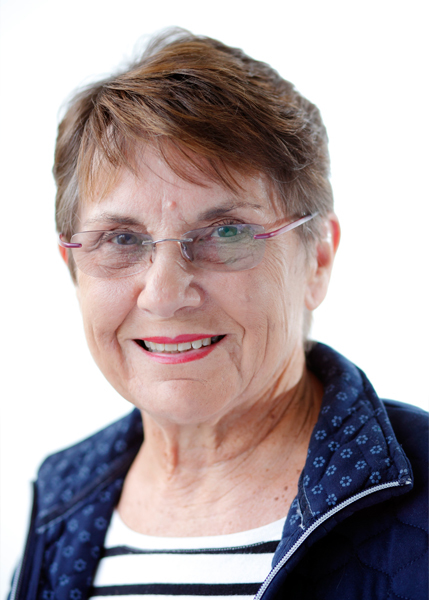 On her retirement from the Loddon School in 2008, Marion joined the board of directors at Liaise. When Marion’s husband Tim died in 2001 she took over as Managing Director. Marion works part-time now, but supporting people with severe learning disabilities and autism remains her priority. Marion also writes about care matters and lectures all over the UK and internationally. She is an active Rotarian, and the first woman president of her Rotary Club!